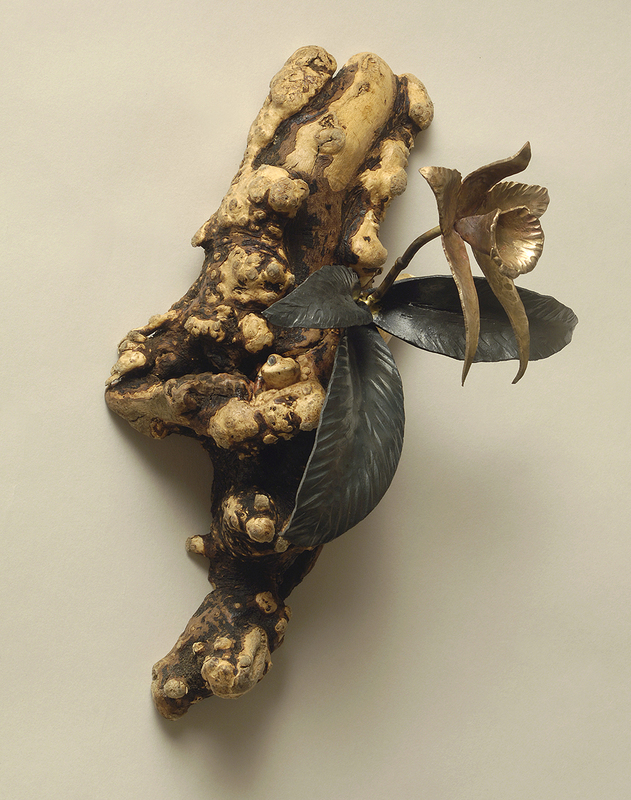 Many species of orchid are epiphytes, which can grow high up on trees and rocks. The jungle species that these orchids are based on lives in the high altitude Amazonian cloud forest, which is one of the most biodiverse ecosystems on earth. 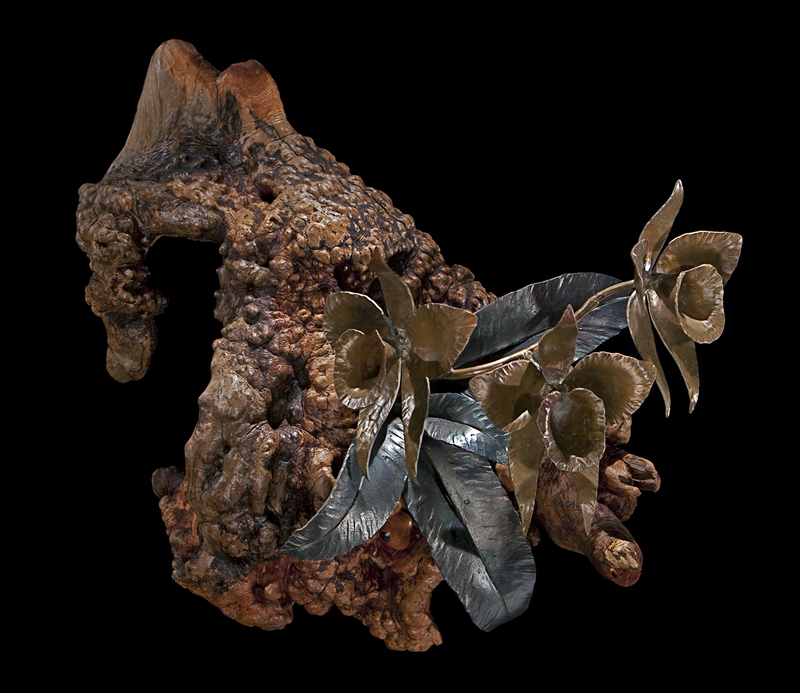 The flower is hammered and welded out of bronze, while the leaves are hammered steel. The bases of these pieces are natural manzanita burl, each with a frog inconspicuously carved into it.